Have you ever thought about enter a Disney Infinity Toy Box Challenge, but felt overwhelmed by the thoughts? Well Disney Infinity wants to help you out, and be sure that designers of all ages have a chance to enter the competition. 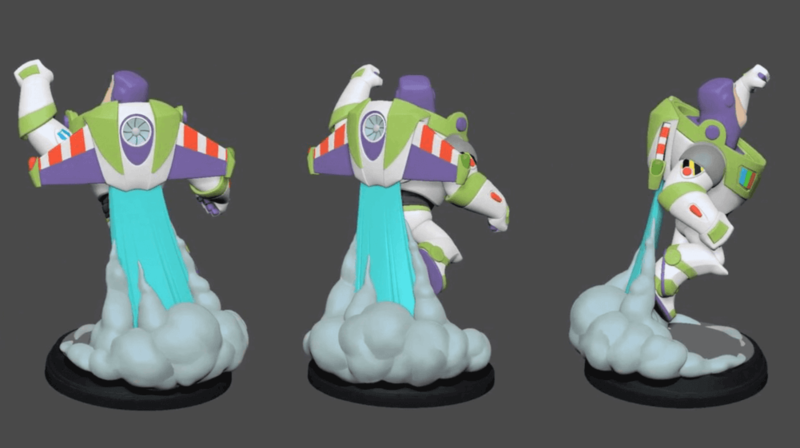 Hi, Disney Infinity 3.0 fans! This summer, we’re inviting the whole family to build in the Toy Box together! Each month, we’ll be unveiling new Toy Box 3.0 building challenges for beginners, kids, and families. The challenges will give players bite-size objectives that encourage their creativity. Winners will be featured in the El Capitan Theatre in the Toy Box Hub of Disney Infinity 3.0 Edition and on Disney Infinity’s weekly video series, Toy Box TV. To give players a starting point, the Disney Infinity Team has built template Toy Boxes for the challenges. These templates contain a themed environment with instructions and ideas for completing the challenge. Players will be able to edit the template and make it their own. The new series kicks off this week with the Space Station Challenge. Here’s the set-up: In their last battle with the evil Emperor Zurg, Star Command’s base was destroyed. It’s up to you to help them make an even better one to protect the galaxy. To enter, download the Space Station Template Toy Box from the El Capitan Theatre in the Toy Box Hub and edit it and make it your own. You could build your own rocket ship or a space fortress to defend against future attacks. It’s up to you and your imagination. Once you’re finished building your Space Station, re-save the Toy Box with a new title and description, and be sure to include #SpaceChallenge in the description. Then, submit your edited Toy Box to Disney. All Space Station Toy Boxes are due by Wednesday, 5/18 at noon PT. We’re excited to see what you create! That’s a really awesome idea, and a great way to get Infiniteers some incentive to start their first ever Toy Box design!